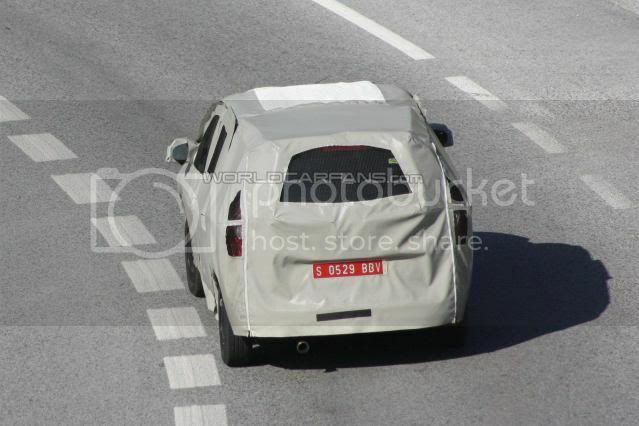 Photographers in Southern Spain have caught the first photos of Dacia's upcoming compact MPV - in prototype form - dubbed Popster. 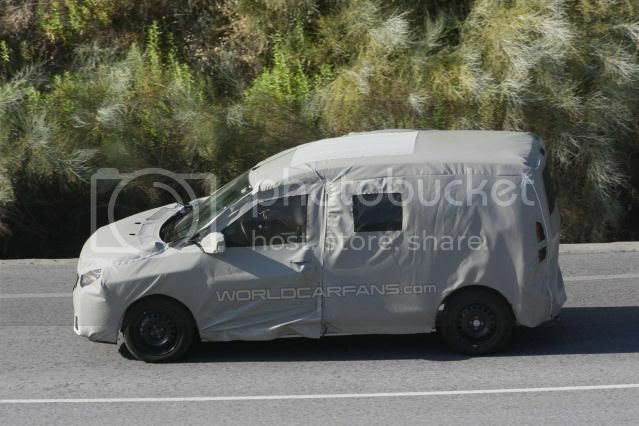 Codenamed J92, the 7 or 8-seater MPV will underpin the Nissan NV200 and is likely to underpin the next Renault Kangoo. Even though Dacia is a budget car brand, the marque wants the MPV to compete with the Citroën C4 Picasso/Berlingo, Peugeot Partner Tepee, Fiat Doblò, Nissan NV200, Volkswagen Caddy Life, Vauxhall/Opel Zafira/Combo Kombi, Renault Scénic/Kangoo, and Ford C-Max/Transit Connect Tourneo. In the pipeline, a commercial variant, codenamed K67 will arrive at a later date. Production will commence at the Tangiers plant in Morocco, with a launch expect early next year. 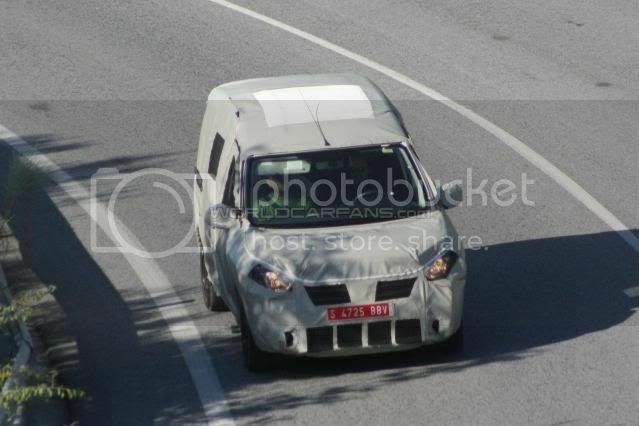 The Popster is expected to be priced at around €13,500 for the 1.6 MPI petrol, and €15,000 for the 1.5 dCi diesel.